Are Marco Gallo and Kisses Delavin still friends? 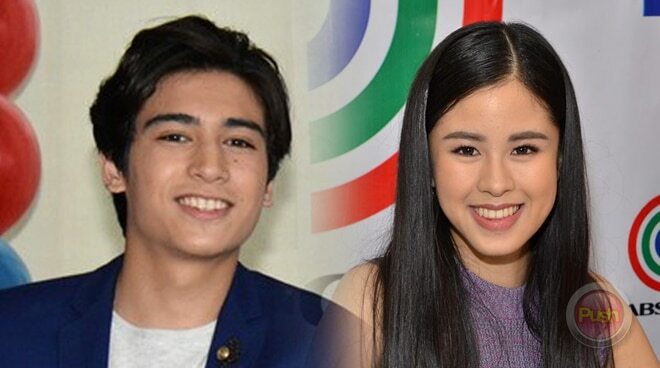 Marco Gallo confessed that he felt sad when his team up with Kisses Delavin had to be ended. In an interview with PUSH at the ABS-CBNmobile Exclusives event, Marco remarked, “Siyempre nakakalungkot po sa nangyari pero nagpapasalamat naman po ako kay Kisses at sa lahat ng fans na sumuporta sa amin kasi ang dami ko namang natutunan from her and from all the things that happened,” he said. Marco said that he is looking forward to the day he will be able to mend his friendship with Kisses. “I really hope that one day we’re gonna be friends again and I really hope na tuloy pa rin ang suporta ng KissMarc sa both sa aming dalawa kahit ngayon ‘yung mga projects namin we are gonna be on solo projects, individually not together anymore, so ‘yun po maraming maraming salamat and thank you sa fans,” he stated. The teen actor remarked that he believes time will help heal their friendship. “Katulad ng mga normal na tao kailangan ng panahon, the right time to talk about what happened between us and I am looking forward to be okay with her kasi she’s still my friend. I still spent so many memories with her,” he stated. Is he open to having a new ka-love team? ”Kung sino man ang ibibigay ng management siyempre tanggap ko naman kasi it’s a new lesson that I can learn from this new love team and I am really open,” he said.